Alcohol and Marijuana Control Office enforcement seized thousands of dollars worth of imported cannabidiol oils from marijuana retailers on Feb. 9. The products came from outside Alaska and were not packaged according to Alaska marijuana regulation. Until they know what it is, officials said, Alaska retailers shouldn’t be selling it. Federal law formerly allowed for similar hemp oils with low THC concentrations. The U.S. Drug Enforcement Administration, however, finalized a rule more than five years in the making and classified CBD oils as a “marihuana extract” and a Schedule I controlled substance on Jan. 17, 2017, making it illegal in all 50 U.S. states. This has created a situation where CBD products, which are widely available online and in health food stores, are subject to seizure by state marijuana enforcement officials, but only from marijuana establishments. “We do not have the resources to pursue every natural foods store in the state,” Chambers told the Juneau Empire, adding that regulators will focus their attention on licensed marijuana shops. “It’s what the law says, and I have to enforce the law,” Chambers said. The state explained how it became aware of the situation on Feb. 10. “A tip from the U.S. Post Office led investigators from the Alcohol and Marijuana Control Office (AMCO) to confiscate unapproved marijuana oils from several licensed retail marijuana stores across the state,” read a press release following the product seizures. “Post office staff contacted AMCO regarding leaking packages containing over 1,000 vials of CBD (cannabidiol) oil. AMCO investigators inspected the packages and found 20 unmarked vials. Alaska statute specifies that CBD oils are indeed a marijuana product and therefore under the supervision of the Marijuana Control Board. Federal laws, however, have caused problems for some Alaska companies who have up until now assumed CBD products were separate from marijuana. The Alaska Marijuana Control Board will hold a closed meeting on the topic with each of the involved retailers. Cannabidiol, or CBD, is a non-psychoactive compound derived from hemp, often made into tinctures, lotions and other topical therapeutic products for pain management and even epilepsy treatment. Tetrahydrocannabinol, or THC, is the psychoactive compound that gets a person high — CBD products typically have a negligible THC content. Alaska Cannabis Exchange is the source for much of Alaska’s CBD products. The products have only been available for two weeks. 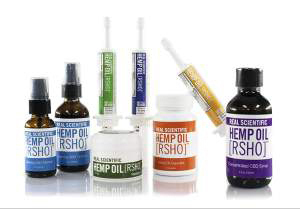 Owner Aaron Ralph confirmed the company receives its CBD oils at the tail end of industrial hemp pilot programs in the Lower 48. The resulting product is classified as an industrial hemp product under federal law, not as a marijuana product. Bryant Thorpe, owner of Anchorage’s first retail establishment, Arctic Herbery, confirmed that enforcement staff took his CBD products, and that he was not notified of the seizure until it happened. Lily Bosshart, owner of Anchorage retail shop Dankorage, said enforcement called her to warn not to remove any CBD products until they could arrive — they had showed up to the closed shop unannounced beforehand. The seizures come from confusion about CBD products’ place in the Alaska regulatory structure. Bosshart, along with several other retailers who had their CBD products seized, said this is the first she has heard about the product being illegal in Alaska. James Hoelscher, AMCO’s chief investigator, said shops have a responsibility to find out for themselves whether or not products are legal if there is a perceived gray area. Harriet Milks, AMCO’s legal counsel, said she was not fully aware of the circumstances around the seizures, but that she was aware of questions regarding CBD products as they came onto retail shelves in recent weeks. DJ Summers can be reached at [email protected]. This story has been updated from the original to reflect the classification of CBD oil as a marijuana extract under new Drug Enforcement Agency regulations.